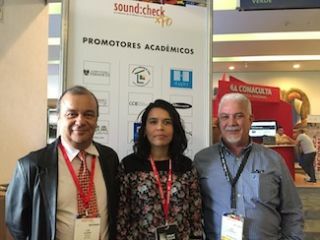 VUW Audiotechnik has added Distribuidora JC LO as its exclusive sales and support partner throughout Mexico. Led by CEO José Luis Olvera Ricaño, JC LO specializes in promoting high-quality audio equipment to the wide range of applications in the Mexican entertainment industry. JC LO will spotlight VUE as its leading loudspeaker brand, with sales support overseen by Ximena López Quiroz, the company’s VUE product line manager.